I'm trying to think of a movie about liking movies, but not coming up with anything. Tyler wrote: Source of the post I'm trying to think of a movie about liking movies, but not coming up with anything. Be Kind Rewind- because you like movies and we used to make crappy awesome homemade movies when we were little. Lol. I actually had that on my list at first but talked myself out of it. I like it. Not quite a pet peeve, but things that bother you, but you're big enough to admit that it's dumb. -People putting their entire lunch boxes in the fridge at work. Space is limited. If you have an insulated box then keep it at your desk with an ice pack. 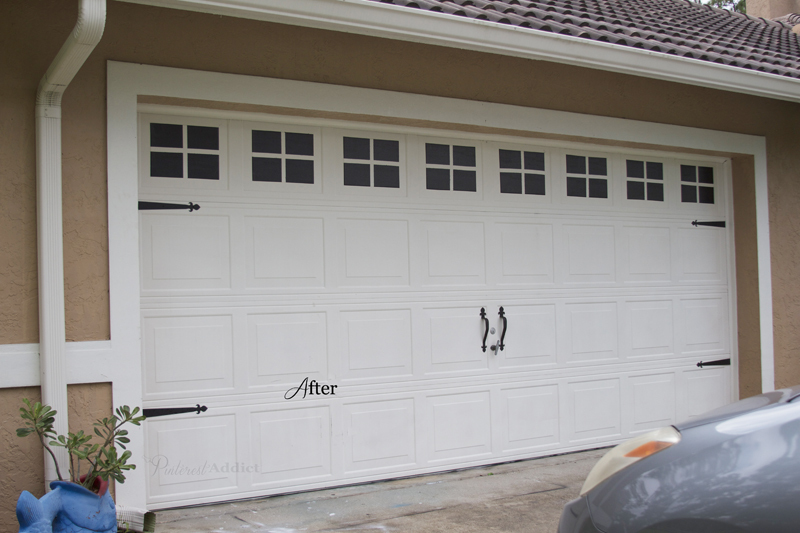 -Garage doors with handles that don't do anything and fake hinges. I hate it so much and almost all of the new houses in town have them. It's extra money to make something look worse. You mean that isn't a huge swinging French door? Coulda fooled me! People who hang out in the left lane when there are no other cars around. What thing in your mind signifies you have personally "made it" as a person. Blue Jackets wrote: Source of the post What thing in your mind signifies you have personally "made it" as a person. I'm not sure I've ever really thought about it or if there is one thing in particular, but something I've always thought would be awesome to have "if I ever make it big" would be a nice cabin on a lake somewhere up north. A couple years ago I witnessed my dad haggle a Jeep Wrangler dealer down on price if he bought it on the spot with cash (well, personal check). He was only kind of in the market for a toy vehicle. I don't want a Jeep, but having a savings account built up enough that you can impulse buy a $10k toy would be cool. I'm going to go with that answer too. Having the money to buy frivolous things on a whim. I didn't think of it as a moment of "making it" but rather adulthood when I bought my Civic 6yrs ago. I had brought my Dad with to be a second opinion for test drives and it annoyed me that the car salesmen would always talk to him rather than me, even when he'd go "up to her, I'm not paying for it!" I went by myself after narrowing in on what I wanted and the guy who sold it was super nice and honest. Putting a folding bag chair away. Feet first or last? Tyler wrote: Putting a folding bag chair away. Feet first or last? Thank you! I feel like everyone does feet first. a) throw an empty bottle in some random houses's trash can? b) throw dog poop (in a bag) in the trash can? I agree with Glass. I would be annoyed if someone threw their dog's poop bag in my empty garbage, but if its still full waiting to be picked up, no big deal.